AuthorMitaliPerkins: Author Visits: Who Enjoys Them More? Author Visits: Who Enjoys Them More? I've been doing school visits for a long time, and the children seem to grow more endearing by the year. 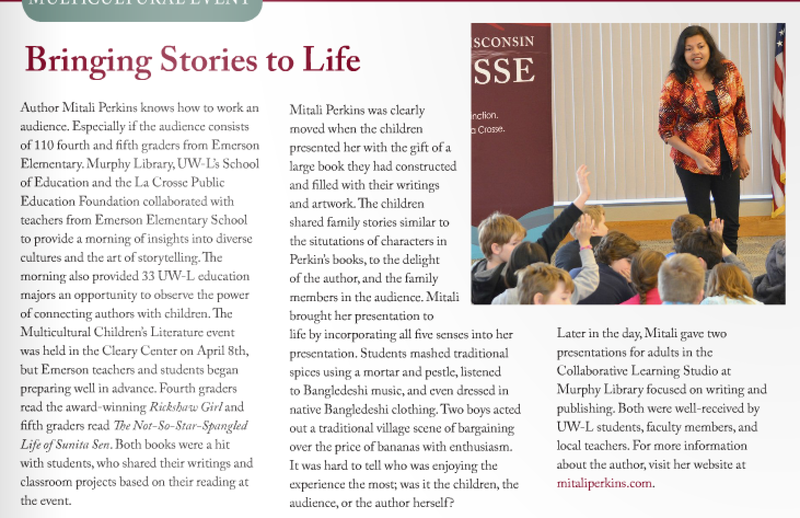 The University of Wisconsin's School of Education recently invited me to speak to fourth and fifth graders at Emerson Elementary in La Crosse. 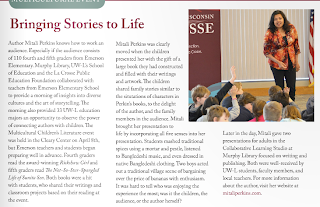 In this nice writeup describing my presentation, the School of Education's newsletter asks a good question: "It was hard to tell who was enjoying the experience the most: was it the children, the audience, or the author herself?"